* For qualified buyers only. Model # 90419. MSRP $45,325. 2 at this price. Example VIN KM550177. $2,398 Cap Cost Reduction (down payment) + Bank Fee ($700) + $399 1st month payment due at lease signing + tax, tags & MV fees. $0 Security Deposit. 10K Miles per year. $0.25 thereafter. Offer expires 04/30/19. See dealer for full details. * For qualified buyers only. Model # 81219. MSRP $43,445. 2 at this price. Example VIN KF133676. $2,998 Cap Cost Reduction (down payment) + Bank Fee ($700) + $399 1st month payment due at lease signing + tax, tags & MV fees. $0 Security Deposit. 10K Miles per year. $0.25 thereafter. Offer expires 04/30/19. See dealer for full details. * For qualified buyers only. Model # 84219. MSRP $54,030. 2 at this price. Example VIN KC513403. $1,398 Cap Cost Reduction (down payment) + Bank Fee ($700) + $449 1st month payment due at lease signing + tax, tags & MV fees. $0 Security Deposit. 10K Miles per year. $0.25 thereafter. Offer expires 04/30/19. See dealer for full details. 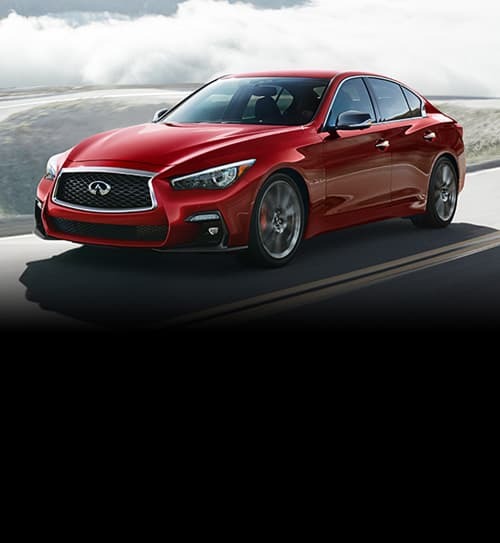 INFINITI of Bayside offers an impressive selection of new and used vehicles. Our staff makes the process of buying a new vehicle pretty easy. Browse our complete inventory of vehicles and learn more about our various financing options. Schedule a private test drive online or stop by your Bayside INFINITI dealer alternative and talk to us in person. Our goal is to get you behind the wheel of a great vehicle in tune with your lifestyle. We would also like to invite NYC, Elmhurst, Manhattan, Queens, Long Island City and Whitestone INFINITI shoppers to our dealership.